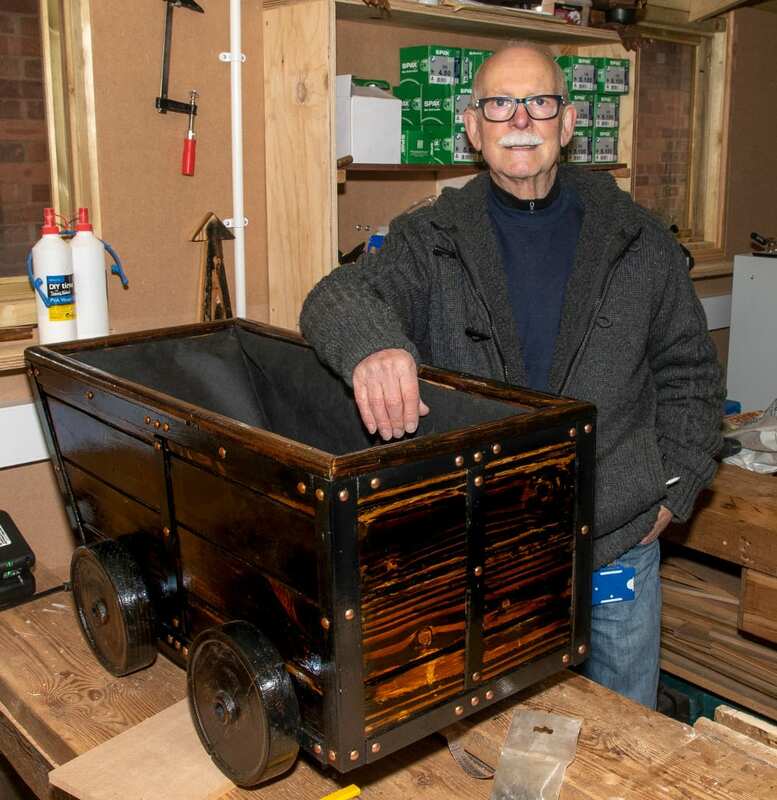 Photos courtesy of Rob Tysall and Nuneaton’s Men in Sheds. You’ll have heard of the man cave, well meet our Men in Sheds. 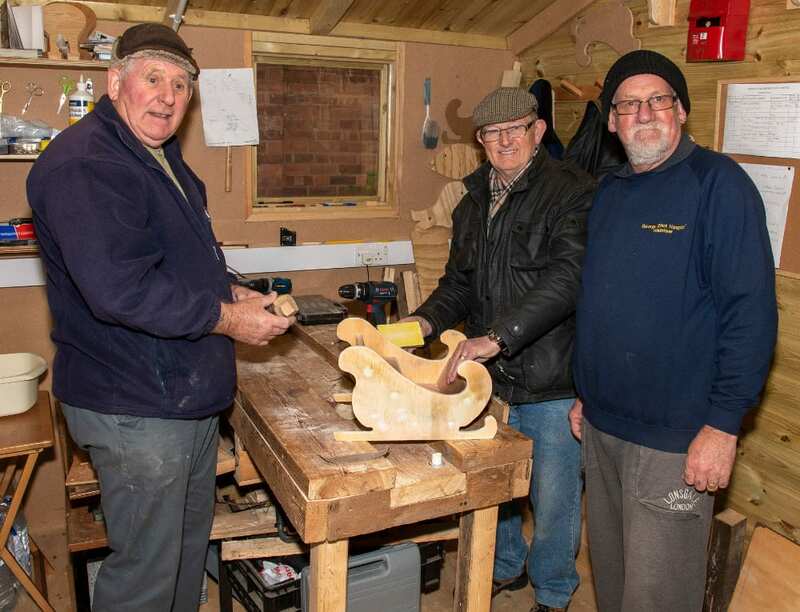 Ann Evans visits a Man Shed in Nuneaton. The Lord Mayor officially opens the workshop. 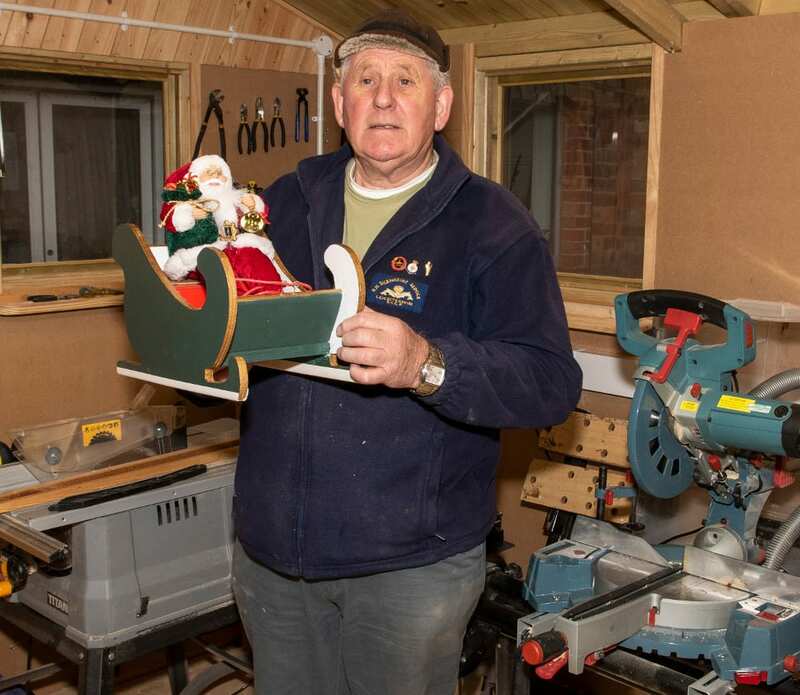 Pic courtesy of Nuneaton Men in Sheds. What better way to keep healthy in mind and body, than to keep active? And keeping active in a creative way whilst socialising, is a fantastic bonus. 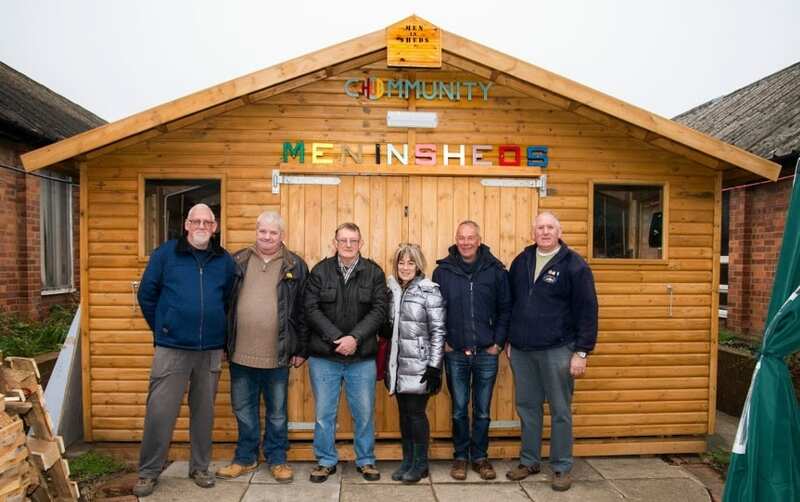 Men’s Sheds, is a community movement with members all around the UK which works to support and inspire the development of men’s sheds to promote the health and wellbeing of men – particularly the older generation, although there are no age restrictions. 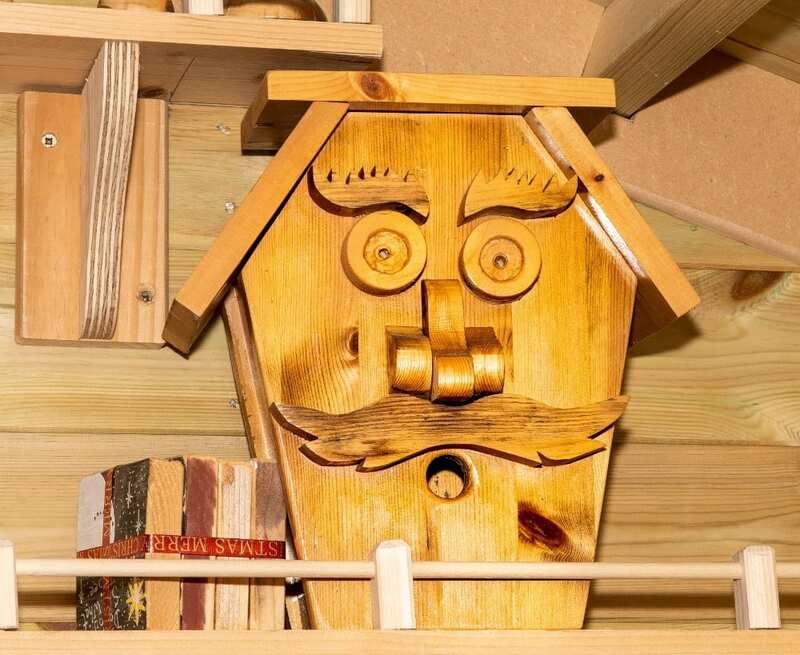 The idea of Men’s Sheds is to bring individual men together in a relaxed, safe, social space and in doing so, reduce isolation and loneliness, plus giving them their own space where they can learn a new creative skill if they wish, share their own knowledge if they wish, or simply enjoy a few hours a week socialising with others and being creative. Our featured shed is in Nuneaton, and it was through the help of local charity Escape Arts, that this thriving, friendly community got off the ground. Warwickshire based Escape Arts is a charity which uses arts, heritage and crafts to respond to social, health and wellbeing needs, for all ages, genders and creeds. As Escape Arts says, it has long been proven that getting involved in creative activities, offers a release from stress and anxiety, and helps that person to gain perspective on life and personal confidence. This in turn has a positive knock-on effect to relatives and friends. The charity itself has received the Queens Award. Around seven years ago, this arts programme was brought over to Nuneaton, where it is currently based at the Heritage Centre in the town. At the time, one or two people thought it would be an idea for a group of men to have a space where they could meet to socialise and explore craft ideas. Escape Arts firstly arranged for them to use an empty shop in the town. When the shop was eventually re-claimed by the owner for a rent-paying tenant, Escape Arts looked around for somewhere else for the guys to meet. In May 2015, George Eliot Hospital in Nuneaton gave them an empty room in the courtyard of its grounds which they used for some time before that too was needed back. However, the hospital did give the group of gentlemen access to the outside courtyard. Having that space, Escape Arts and the men decided to build their own timber workshop – a lovely big shed! 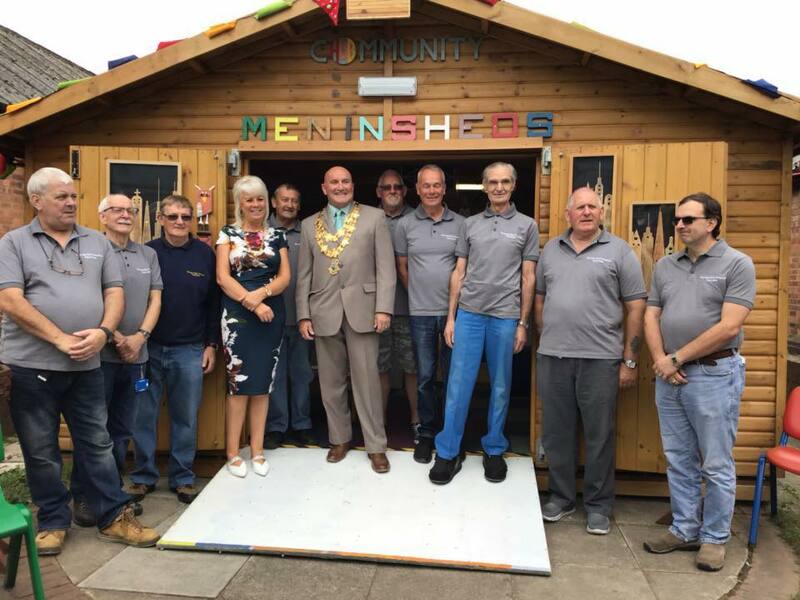 At the beginning of September 2018, they had the official launch of their ‘Men in Sheds and Community Hub’ with Nuneaton & Bedworth’s Lord Mayor, Chris Watkins, cutting the ribbon. 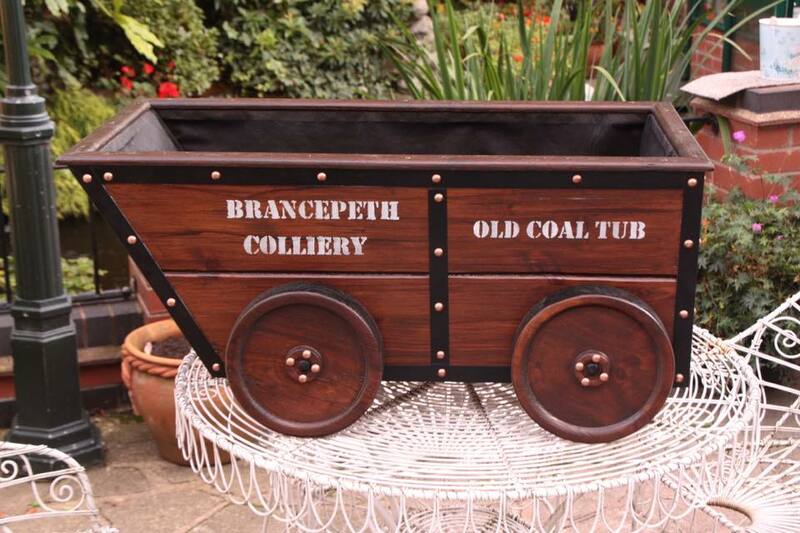 Since then their Men in Sheds community has flourished, with the guys using all their woodworking skills to create all kinds of items. 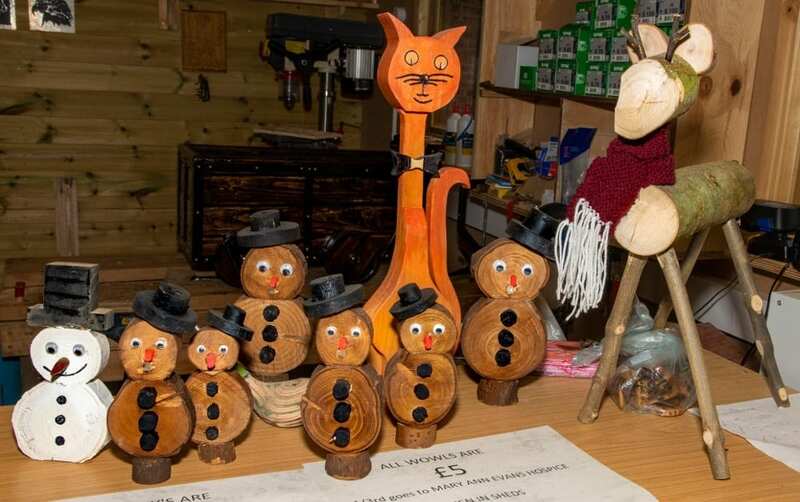 Quite recently, there had been Christmas-themed items such as sleighs, and they also make bird feeders, bird tables, garden ornaments – in fact anything anyone wants.